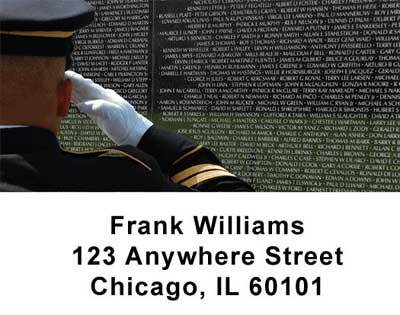 Honor the memory of those who served in the Vietnam War with The Wall Address labels. The Wall, which was originally surrounded by controversy, was inspired by Jan Scruggs, who served in the army during the war. Show your support and patriotism for our service men and women with The Wall Address labels. Matching checks are also available.